Balthali Village is situated at 1730 meters from the sea level, 40 km away from Kathmandu at the junction of Roshi and Ladku Rivers. Balthali Village Trekking listed as multi-day trek without high altitude treks by Lonely Planet website, one of the largest travel sites in the world. Bathali treks take you through Kathmandu valley and are ideal for families or those wanting a soft multi-day hike. You start and end in Kathmandu, meandering past Buddhist temples and rural hamlets including the lovely Bathali village, which sits on a plateau amid terraced rice fields and dusty red colored thatched farmhouses. 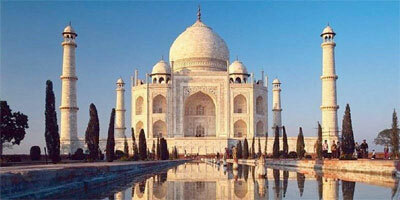 In between, glimpses of the snowy Himalayan peaks and swathes of bright-green forest greet you. Overall, this is a relaxing area to trek and remains relatively un-crowded compared to more popular routes in Nepal. This treks take anywhere between three to six days and can be done year-round. Our below given Balthali Village trek itinerary start the trek from the ancient Hindu temple of Changu Narayan listed in the UNESCO world Heritage sites, is situated at the end of a long ridge which runs well into the Kathmandu Valley. Changunarayan is famous for its unique example of Nepali pagoda architecture and culture experiences. From Changunarayan trek about 2 hours to Telkot, from there you can trek continue about 1.5 hours to Nagarkot. Nagarkot is known for its beautiful hill, sunset and sunrise. From Nagarkot on a clear day you can see Mt. Everest (Sagarmatha). You can also see Manaslu (8,463m), Ganesh Himal (7,111m), Langtang (7,246m), Dorje Lakpa (6966m), Gaurishankar Himal (7,134m) and many more beautiful mountains. 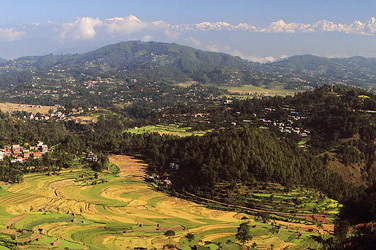 From Nagarkot, you can continue on the Kathmandu Valley Cultural trekking trail to Dhulikhel in about 6 hours. As you leave Nagarkot, the trail climbs up to the tower of Nagarkot. 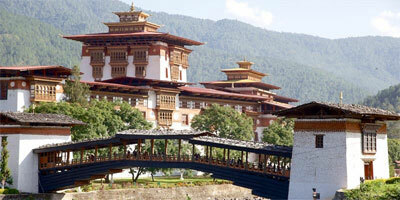 From the tower there are excellent views of mountains including views of Mt Everest and Kathmandu Valley. The trail descends through rhododendron forests and small villages before arriving in Dhulikhel, is famous for natural as well as historical reasons. Dhulikhel's main attractions are the view of rows of snow-capped peaks and Newari settlement and the artistic temples of the town. From Dhulikhel our trekking about 4 hours continues to Namo Buddha. 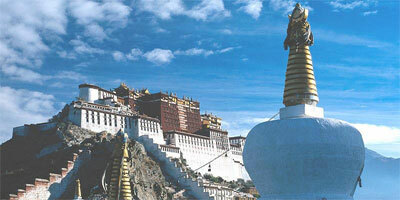 Namobuddha is a famous ancient Tibetan Buddhist Monastery in Nepal situated at 1750 meters. The monastery is surrounded by Tamang settlements. There is a special Buddhist legend about King Mahasattva offering his body to a hungry tigress at this very place which makes Namo Buddha a holy site for Buddhist people. The main attractions of this hike are the fantastic panoramic mountain views and the many Buddhist stupas on the hilltops. Namobuddha trek continue about 2 hours to Balthali village, it is a beautiful trek in greenery trail. At the last day of our trek Balthali village trek about 2.5 hours to Panauti then drive to Kathmandu. Panauti is one of the oldest towns in Nepal, consisting of many temples that are still present till this day dating back to the 15th Century or earlier. It has been debated that Panauti was founded by Ananda Malla (1274-1310BC), others believe that there is a golden scripture dated 1385, which is located within the Indreshwar temple stating that King Harisingh Dev founded the town. The Indreshwar temple is one of the largest and tallest pagoda style temples in Nepal. 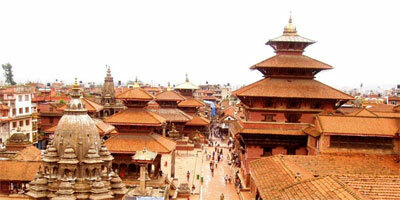 It was originally built over a lingam in 1294, making it the oldest surviving temple of Nepal.